UEFA Europa League is the second fiddle cup competition at the european level behind UEFA’s flagship event “Champions League”. UEFA Europa League previous known as “UEFA Cup” was formed back in 1971. The history however dates back to 1955 when a European Inter-Cities cup compeition invloving 11 teams was introduced known as “Fairs Cup”. This competition was annually held event and became popular every year so much that by 1970 it had 64 teams participating and that is when UEFA officially overtook the competition and launched it as “UEFA Cup” in 1971-72 season, It started as a pure knockout tournament with two-legged ties all the way through to the final. 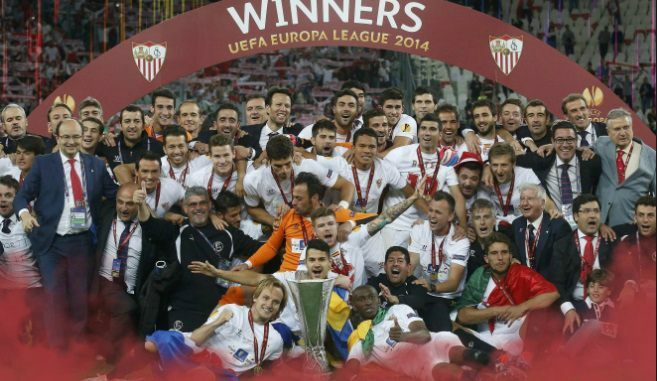 Rebranding as “Europa League”: in 2009-10 season, UEFA re-branded the tournament as UEFA Europa League and since than it has grown from strength to strength. Although still behind Champions League in terms of prestige and money it holds significant important now as winners get the direct entry to champions league and the prize money is also increased substantially. Lets take a look at history winners of UEFA Cup/ UEFA Europa League. next year’s eropa cup will shork evry bordy on the final day.